Many antivirus suites these days offer a host of additional protective programs on the side, helping to roll your defense into an all-in-one package. F-Secure Antivirus is not one of these programs - it goes back to the basics, defending your computer against every type of malware imaginable. And when it’s doing its job, it’s doing a great job. If you’re looking for a program to defend against malware, F-Secure Antivirus is a strong choice. It received excellent scores from both our independent labs and our own hands-on tests. It also has DeepGuard, a behavior-based detection system that protects against “unknowns” - processes which aren’t yet identified as “good” or “bad.” When it detects a process that’s showing a pattern of malicious behavior, it immediately identifies and either eliminates them or flags them as “potentially unwanted,” letting you quarantine them. While F-Secure is very, very good at malware defense, it is a fairly bare-bones program at its base, lacking in a lot of the additional features that other antivirus suites have. Some of its product levels allow you to get a little more protection, but it lacks a strong malicious URL blocker or anti-phishing support (though it does have its own secure search, F-Secure Search, as a new addition to the program). F-Secure Antivirus is more affordable than some of the other available options out there, but it has less protective features. If you’re wanting a bit more bang for your buck, we’d recommend checking out some of the more comprehensive antivirus suites that we’ve reviewed. F-Secure Antivirus has scored incredibly well in independent lab tests, scoring 100% in Protection and Performance, 88% in Software Features and 92% in Ease of Use. It’s blocked 100% of the malware thrown at it, and though it doesn’t warn against malicious URLs, it is exceptionally good at tracking and removing malware before it infects your computer. F-Secure’s affordable price and high scores in malware defense make it a valuable investment if you’re looking for a simple antivirus program. Because F-Secure Antivirus is a fairly simple program, the cost of ownership is more affordable; currently, it costs $39.99 to protect up to 3 computers for a year. F-Secure does offer a few other protective suites, like F-Secure Total, which includes some additional features like ransomware and browsing protection, and offers protection for up to 25 devices. However, the cost of that package does scale more similarly to some of our more advanced suites, with a 1-year license for 1-3 devices costing $89.99. F-Secure does also offer a free, 30-day trial to allow you to test them out, and provides a 30-day money-back guarantee if you decide the program isn’t for you. F-Secure has a minimalist user interface, reflecting its focused nature; the refined display is easy to use and understand, and has a Virus Scan button and Settings Button, as well as links for Tools and Statistics. One of the major pluses of F-Secureis the fact that it’s able to complete full scans of your system quite quickly. When you run a full scan the first time, F-Secure will perform some optimization tasks that will make other scans run faster, and has completed a full-system scan in as little as six minutes. The basic version of F-Secure protects up to 3 computers, while more advanced F-Secure security options can provide protection for up to 25 different devices. F-Secure is a download-only program, and is easily purchasable through F-Secure’s website. You can purchase a CD for an additional cost if you want to try to clear malware from a non-functioning computer. Once F-Secure antivirus is downloaded from the “My F-Secure” portal, it’s easy to set up and use. One of the ways F-Secure has really improved is in the user interface. In the past, the UI has been a bit more difficult to work with; however, the most recent version of F-Secure antivirus has gone to great length to make sure that the user’s available options are easy to understand. 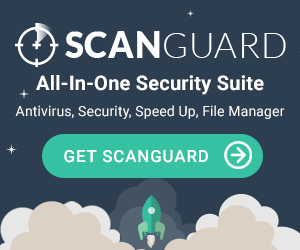 It’s easy to get to both the quick scan and the full-system scan, and F-Secure Anti-Virus has made sure the available additional options (like the F-Secure Search) are clearly visible in the event a user wants to access them. F-Secure, as a company, offers a robust selection of customer support options, featuring How-To articles, an FAQ, and Help Forums where users can interact with each other. F-Secure also offers both phone and chat support, though the phone support is not available on weekends, and has available support tools on their website to address specific issues. F-Secure offers a standard (?) icon in the upper right which opens up the support options, so that clients can get the help that they need. Internet connection is required to validate your subscription and receive updates. F-Secure was founded in 1988 and has over 1,000 employees in over 25 offices around the globe. They were founded to provide both in-home consumers and corporate clients strong, up-to-date security and protection against malware and malicious antiviruses, and currently have tens of millions of consumer customers and over 100,000 corporate customers. The current President and CEO, Samu Konttinen, has been with the business since 2005. If you’re in the market for an affordable, bare-bones antivirus program that is very good at guarding against malware, then we think that F-Secure Anti-Virus is a good choice. Even the most basic program provides incredibly strong malware defense for up to 3 computers, and the higher-tier options available from F-Secure can expand your protective features for a higher cost. The simple user interface and fast system scan, as well as minimal system slowdown, make F-Secure antivirus a solid choice for a basic antivirus program. However, if you’re looking for something with more protective options, we’d recommend exploring some of our more robust antivirus suites - like Norton Security or Kaspersky’s available programs. "Recently I bought a used computer that came with F-secure Anti-virus software. I had never heard of this program before but after finding several good reviews online I figured that I would give it a shot. I was not a fan. While it did seem to get the job done, I really think that it has a problem with false positives, especially while scanning email. That really drove me nuts. I only lasted with this software for about 2 weeks before I removed it and switched to another program I know I can trust. I am not sure if it was just me but it really felt like F-secure really slowed down my browser speed and even caused a few programs to crash. In all I can say that they might be ok but not a program that I will trust with my security needs anytime in the near future." "F-Secure is an often forgotten about antivirus software among many. It is also one of the few antivirus programs that didn't make a successful leap into suite status. If this was a review about their core antivirus product, then it would be different. But this is about the full suite, which is really not up to par with modern standards. Some of the features of the program that I thought was done well was the banking protection and parental control. This was the best thing about the suite, and it provided some features that weren't available in other products. Everything else was below average, including (and surprisingly!) the core antivirus. Even the price runs a little higher than other suites with better features, which makes this hard to recommend since I can honestly say I don't trust them anymore to protect my computers. If you have a low end computer and want a product that can run silently in the background, this is a nice choice, but not the best one available for the price." Fully protected in just a few minutes! F-Secure SAFE is quick and easy to install on your computer, tablet, or mobile phone. You have received this email because you signed up for a free product trial, purchased one of our products, or subscribed to our newsletters.